A Look at The Gifted- Season 1, Episode 2: “rX” | What Else is on Now? The episode begins with a flashback to one year ago with the Strucker family enjoying a night out at the bowling alley. Reed wants his mother, Ellen, played by Sharon Gless, to join in on the game, but she refuses. Andy, though, manages a strike. But Lauren gets all but one pin which she later knocks over with a flick of her hand. Lauren is a cheater at bowling. But she got a strike, so let’s allow it. Nearby, some folks are harassing a father because of his mutant daughter, whose ability, from the best way I can describe it, causes her to blur. Eventually fed up with the harassment, she snaps, using her power to blow some people back and damage some property in the process. 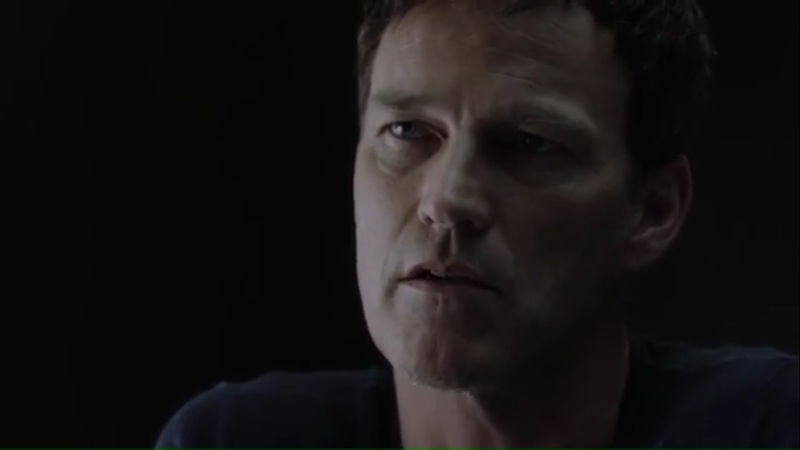 Reed then heads over to the father and reveals his occupation as a federal prosecutor. He tells the man that a mutant damaging property, even accidentally, is a crime. As such, the two should leave. You get the impression here that Reed is indeed trying to do the right thing here, as the two should walk away before this situation gets worse. However, Lauren wonders why the father and daughter are the ones who have to leave. In present day, everyone minus Reed has arrived at the mutant safe house. The Strucker family is frantic about having lost contact with Reed, but John and Marcos’ priority now is taking care of Clarice, who has exhausted her powers having traveled over such a large distance. 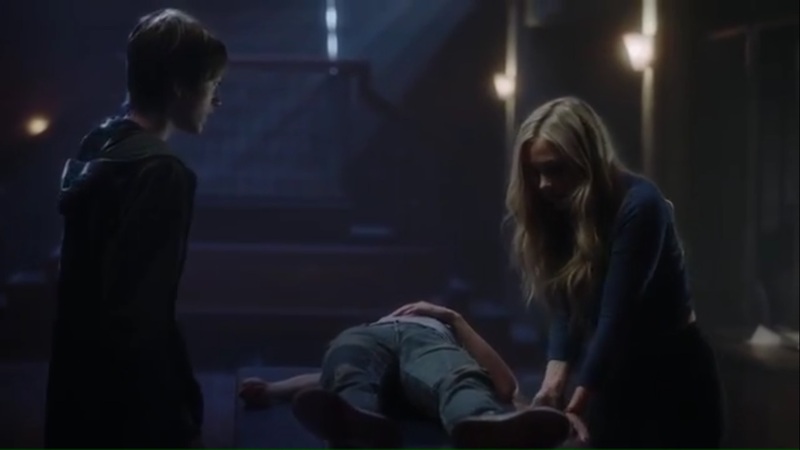 Marcos assures the Struckers that he wants Reed safe as much as they do, but they can’t do this right now. Officer Turner cautions a large squadron of officers about dealing with the Struckers, since they’re now in cahoots with a mutant underground network. He then officially introduces himself to Reed, who is being carted away in an ambulance, and tells him to rest up because they’ll be having a chat soon. Oh, and Reed was only hit with an immobilizer. He’ll live. Lorna’s not not doing so well, either. At Lakewood County Jail, she finds that any attempt to use her powers is neutralized by the collar around her neck. A human inmate across the way informs Lorna that these collars are used to keep mutants in check, so even though Lorna has the ability to manipulate the metal bars of her cell, she can’t. 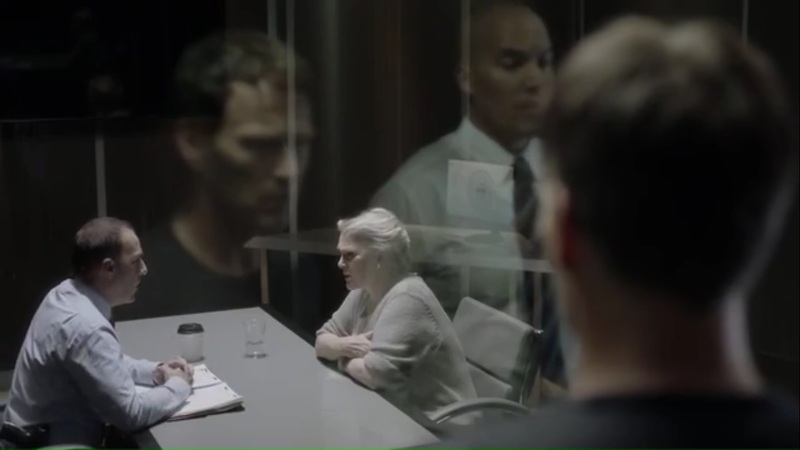 While Lorna doesn’t plan on being here long, the inmate tells her that the only way out is in a box. And right now, she doesn’t have any allies. Also, come on Polaris. That collar wasn’t just some extra accessory. 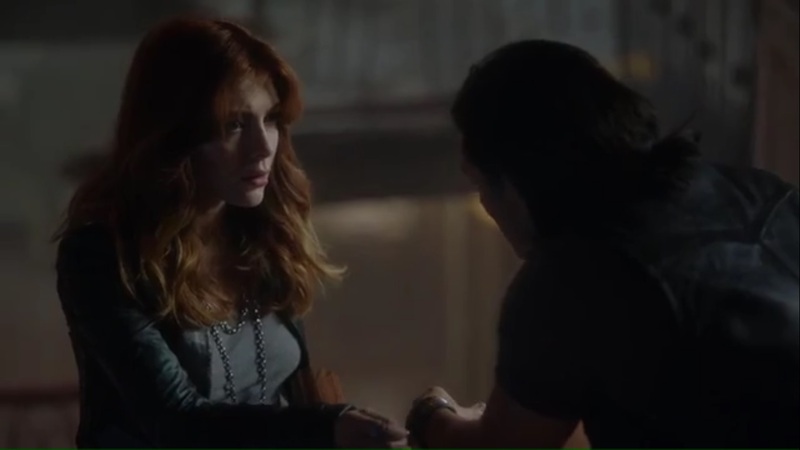 Having decided that they’ll be accommodating the Struckers for awhile, John and Dreamer, played by Elena Satine, confront Marcos on him not letting them in on his deal with Reed. In Marcos’ defense, they do help mutants, including ones like Andy and Lauren, even though a man like Reed is responsible for putting mutants away. Before this argument can escalate, Lauren calls them to Clarice’s worsening condition, as her temperature and heart rate are skyrocketing to the point that she can’t breathe. At least Caitlin’s a nurse. She notes that Clarice is going into shock. Since Clarice overexerted herself, her powers are in flux. The priority now is finding something to restore Clarice’s blood calcium, but there are no doctors at this compound and the best option for getting help would be a hospital. But the situation worsens. Clarice’s hands begin to flicker as she starts opening portals against her will. One opens to a road and a truck rushing out of control is heading right for the portal. It’s sliced in half and the back end of the truck smashes into the mutant hideout. Clarice, in the process, ends up with a nasty cut on her head. Clarice is moved to a table, but her powers overextend again and she creates a portal on the same road. This time, however, people on the other side have taken notice and are training their guns on the portal. 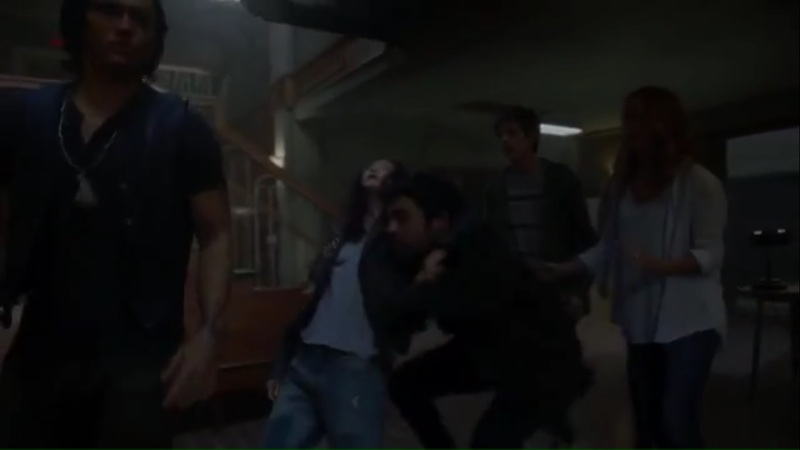 John doesn’t want Marcos getting into a fight with bystanders, so Lauren uses her powers to move the portal together until it’s sealed. Caitlin and Marcos decide that they’ll go find the medicine needed for Clarice. At Sentinel Services, Turner sits down with Reed and wants his cooperation, though Reed is doubtful on what charges Turner may even have on him. Of course, Sentinel Services can push harder, as Reed hasn’t technically been charged yet, but right now, Reed wants his lawyer. On the road, Caitlin hopes that Marcos will honor his deal with Reed, though Marcos has obvious reason to be skeptical of Reed since he did send Lorna to jail. Never mind whether he was just doing his job. 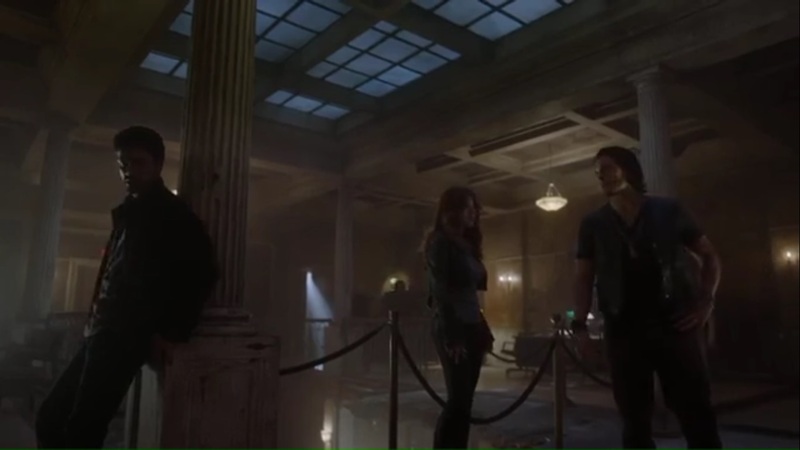 Marcos then asks Caitlin if she and Reed would be standing up for the mutants in the school auditorium if they weren’t Andy and Lauren. Back at Lakewood County Jail, Lorna hits the showers, but as she bathes, the black dye of her hair runs, eventually revealing a brilliant shade of green. Now there’s the Polaris we know and love. John tells Andy and Lauren about how Clarice escaped, as well as how she stole food because she couldn’t pass for human or get a job. 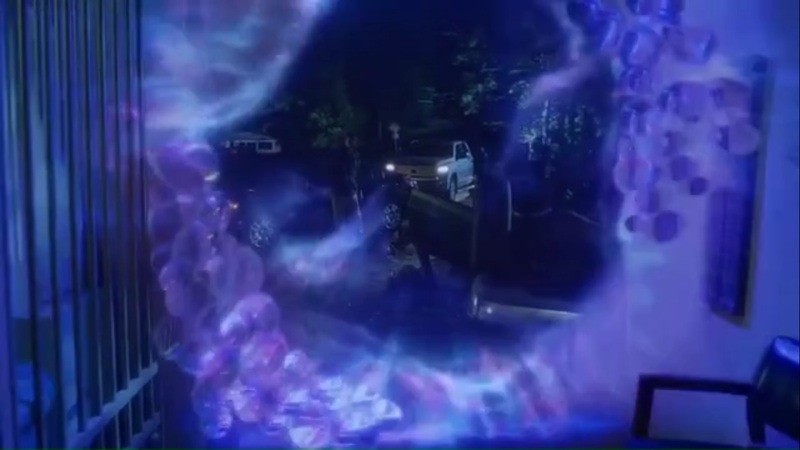 But then Clarice’s powers flare up again and the portal opens to the same road. Now, the police have gathered and John, with his heightened hearing, overhears the officers calling for backup. After a bit more effort, Lauren manages to again seal the portal. 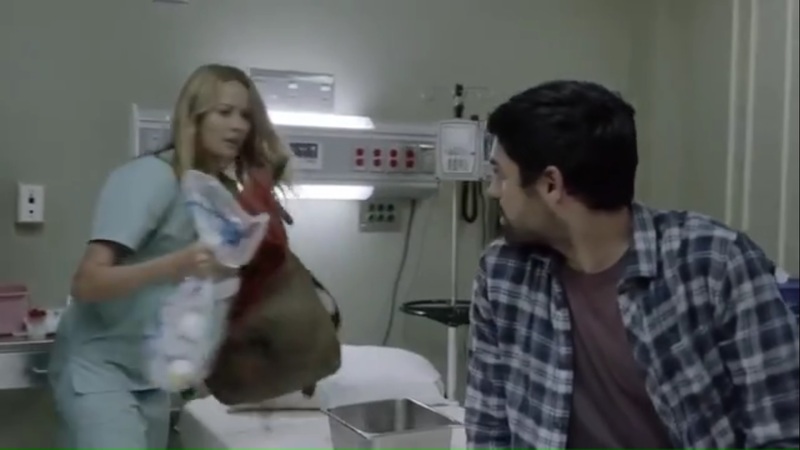 Marcos and Caitlin arrive at the South River Hospital, which is already crowded with mutant patients. 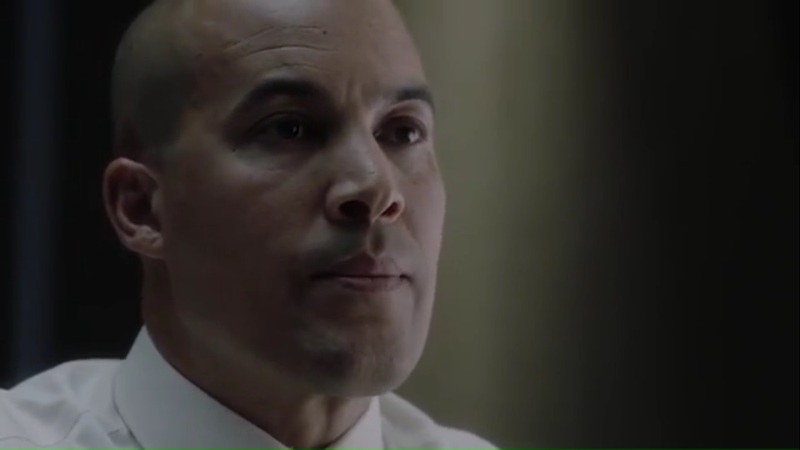 To get quicker access to the treatment area, Caitlin asks Marcos to uncover his gunshot wound. He does, and Caitlin is surprised to see that he has not red, but glowing blood. Nonetheless, it gets them to the front of the line. So indeed, Marcos is patched up and explains to the doctor that he was hurt in a latter accident. 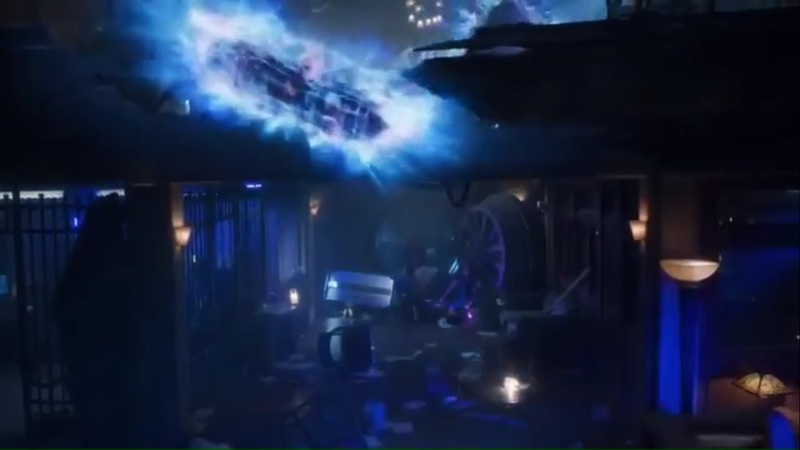 However, the doctor pulls Caitlin aside and, noting her head wound, believes that Caitlin dating a mutant is a domestic violence situation. But Caitlin assures the doctor that this is nothing like that. Back at the hideout, John tells Dreamer that the cops are gearing up, so if the portal opens up, there could be a problem. As such, they need to be ready to either evacuate or move Clarice away from the hideout. 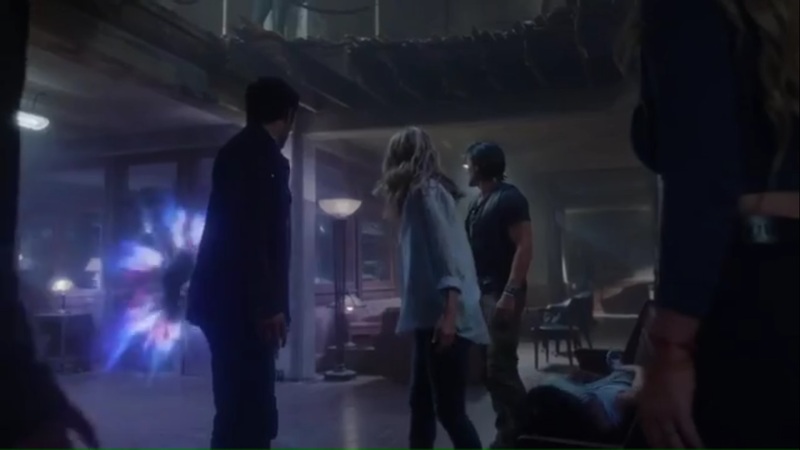 Eventually, Jon chooses to wait for Marcos and Caitlin to return. So Turner has charges for Reed: terrorism and using Lorna’s case file to make contact with the mutant underground. 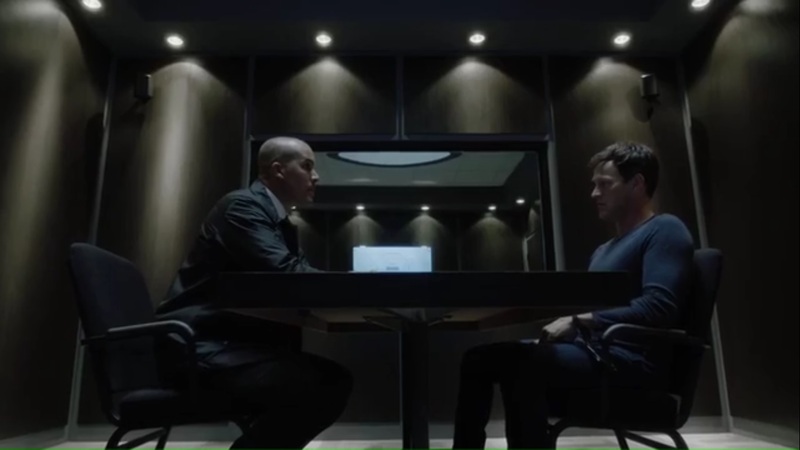 And Turner’s talked to Carla, so he knows Reed had Lorna’s file. For some time, there’s been talk about classifying this organization as a mutant terrorist group, not unlike the Brotherhood of Mutants or Mutant Liberation Front. Oh? Though Reed says that the underground isn’t like those two groups. Sentinel Services’ lawyers want to make Reed and Lorna the test cases. And Turner is intrigued. After all, just three days ago, Reed was set to prosecute Lorna, but now she’s a brave, freedom fighter? Turner knows what it’s like to care. 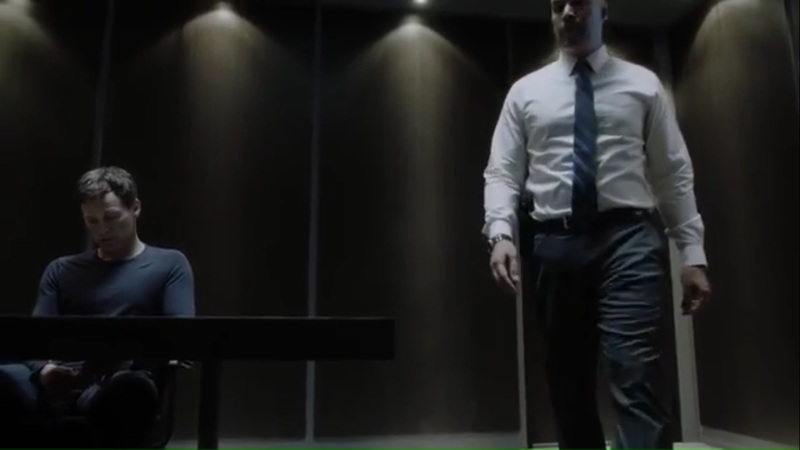 He lost his seven-year-old daughter in the July 15th incident and to this day he doesn’t know or care if the blast that killed his daughter was from a good or bad mutant. Back at Lakewood Jail, Polaris tries to make friends with a Porcelain mutant, played by Anissa Matlock, and asks about how to lose the collar, but Porcelain here feels that mutants like Polaris aren’t making things easier. As such, she tells Polaris to stay the hell away from her. Caitlin manages to get an employee away from her post long enough to get the medication needed to save Clarice. She meets back up with Marcos and tells him that the doctor is talking to the police right now, so it’s time to leave. Just as they’re about to exit, two officers pursue them. 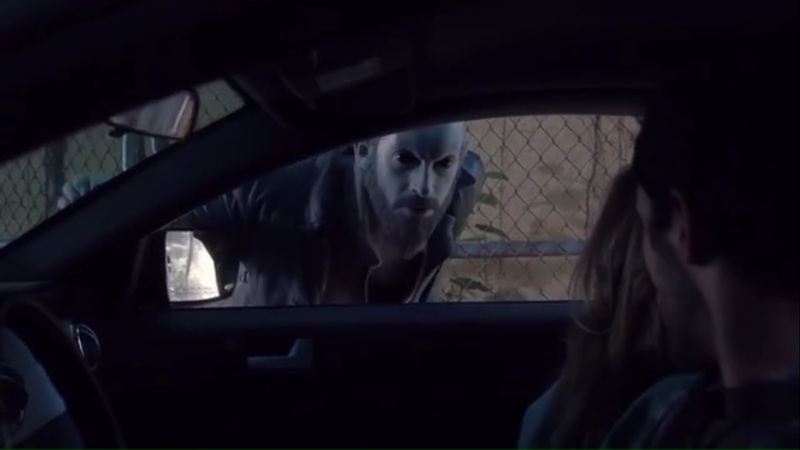 They make it out just as Marcos uses his light powers to heat the door handle, giving him and Caitlin enough more time to escape. More trouble for Lorna. 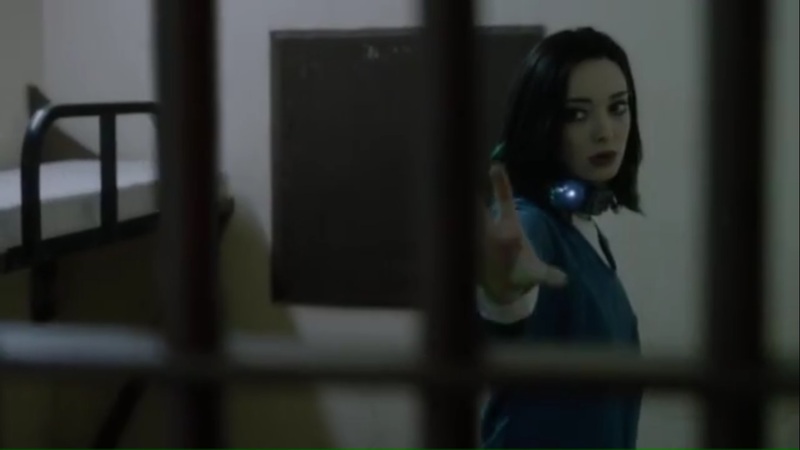 At Lakewood, one inmate tells Polaris that mutants work for her. Of course, Lorna declines the offer. Out in the world, Polaris may have powers, but here, the humans run things. To illustrate this, the leader has two of her underlings lay into Polaris. 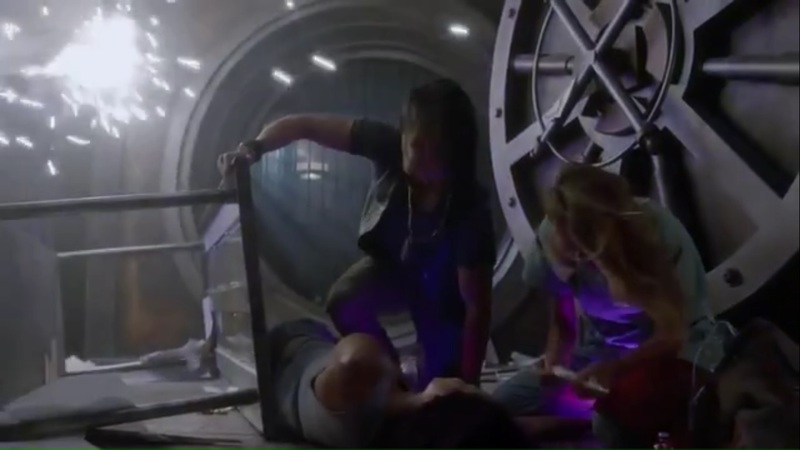 While on the ground, the leader notes that she heard about Polaris being pregnant and wants to see how tough that baby may be, but that was the wrong thing to say. Despite the shock from the collar, Polaris uses her powers to fling a table into the gang leader, sending her flying into the fence. Following another swift beating, Polaris is tossed into solitary. Back at the hideout, just as John is seriously considering evacuating everyone, Clarice’s powers flare up again and a portal opens. This time, a SWAT team has assembled on the road. 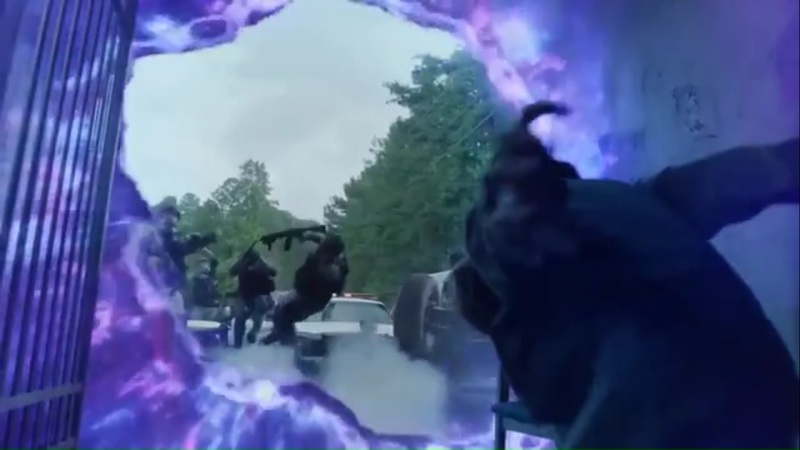 Lauren tries to close the portal, but she’s unsuccessful and one SWAT officer jumps through. John sends him back out in no time. Before the soldiers can open fire, Andy uses his power to knock them back. Nice going, Andy. However, the shockwave also knocks over Clarice’s table. She hits her head and falls unconscious just as portals begin to open all throughout the hideout. Nice going, Andy. Turner tells Reed that he and his aren’t the only ones in jeopardy. To prove this, he shows that Ellen is being questioned. Any potential co-conspirator will be interviewed, though Reed tells Turner that his mother has no involvement with this. 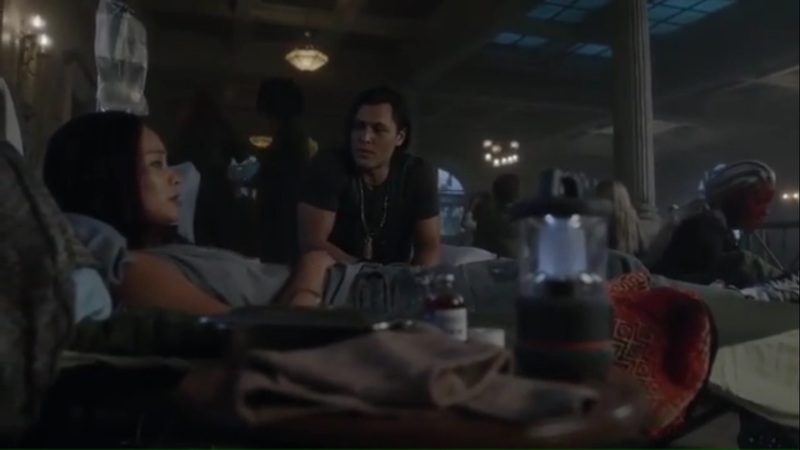 Caitlin asks Marcos if it’s normally bad for mutants at a hospital, and it is. Despite legislation like the Civil Rights Act, mutant rights vanish once you’re called dangerous. After all, exceptions are made for the sake of public safety. Marcos’ family never had to deal with his mutant powers, though. Hell, as soon as his powers manifested when he was 13, he was kicked out the same day. To survive, he did a lot of things he wasn’t proud of, but soon, Lorna found and helped him. Caitlin can’t believe that a family would reject their own child just because they’re a mutant, but then, she hasn’t. The two soon get close to the compound. Caitlin sense something is amiss, but Marcos assures her that one of the mutants can project fear as a way to keep people away from the hideout. Pretty good power, all things considered. At the compound, Gargoyle, played by Dinarte Freitas, tells Marcos that everyone is evacuating. They arrive to see portals all over the compound and reunite with Lauren and Andy, but Caitlin heads inside to give Clarice the dosage she needs, despite not knowing how much is necessary. Regardless, she rushes inside and finds John is still with Clarice. She jumps through a portal and gives Clarice the medication needed to stabilize her potassium levels. Soon enough, Clarice’s condition stabilizes and the portal frenzy stops. Well done, Clarice. Later, John updates Clarice and asks why she kept opening up portals to a specific road, but she doesn’t know why. Clarice apologizes, but John assures her that everything and everyone is fine. They’ll follow up on this later. Caitlin tells Andy and Lauren how proud she is of them and assures them that they’re going to find Reed. A lot of people have been fighting this fight for a long time and now it’s time for the Struckers to fight to bring Reed and everyone else back. Officer Turner asks Reed if he’s ready to talk, but Reed doesn’t feel that he’s the one in a world of hurt right now. He’s been in Turner’s place. If Turner wanted to throw Reed in the hole, he’d have done it. He thinks that, by bringing in Reed’s mother, Turner has overplayed his hand. With all the time and money wasted, Reed knows that Turner is desperate. So Reed will make a deal on his terms. For start, Mom goes home. But more than that, Caitlin, Andy, and Lauren stay out of prison. If Turner wants Reed, the family can’t be involved. That’s the condition, and that will be worked out with Reed’s lawyer. However, Turner has his own condition: he gets the Mutant Underground. 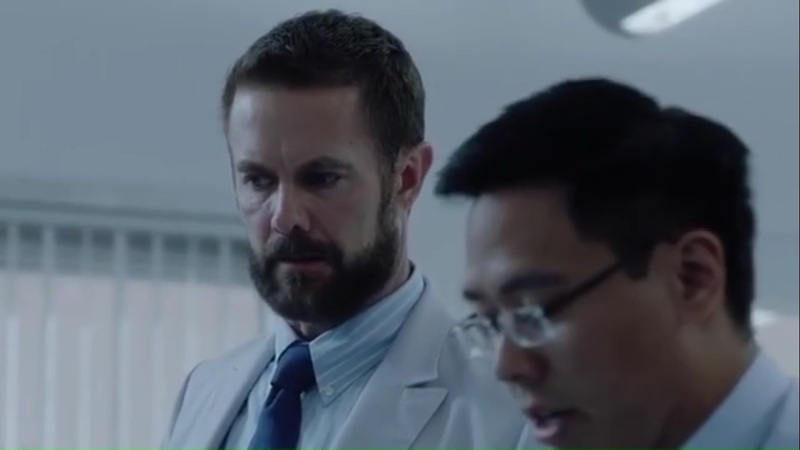 Back at the hospital, Dr. Roderick Campbell, played by Garret Dillahunt, asks another doctor, Joshua, played by Anthony Nguyen, to look up files on mutant siblings. 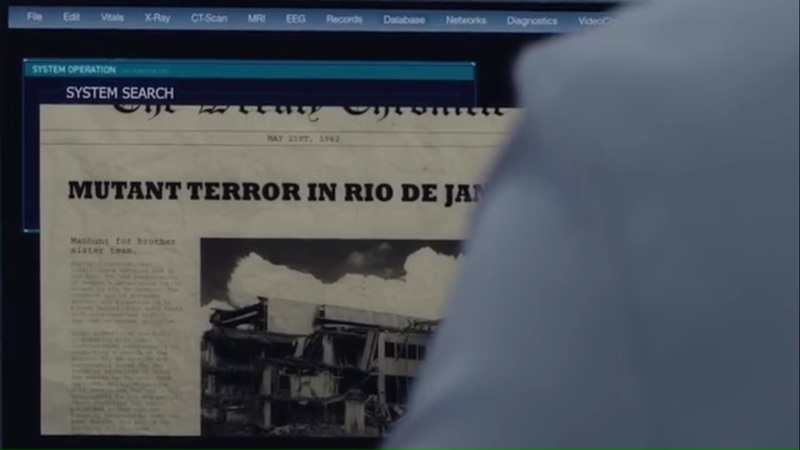 They land on a mutant incident that took place in Rio in 1962. 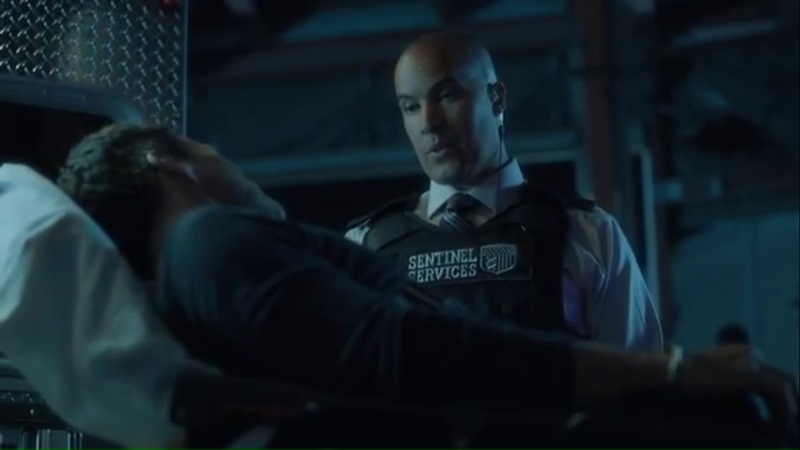 Since Sentinel Services haven’t found the Strucker children, Campbell wants the name of the head agent on the case so the two can talk. To say that life as a mutant is tough would be an understatement. 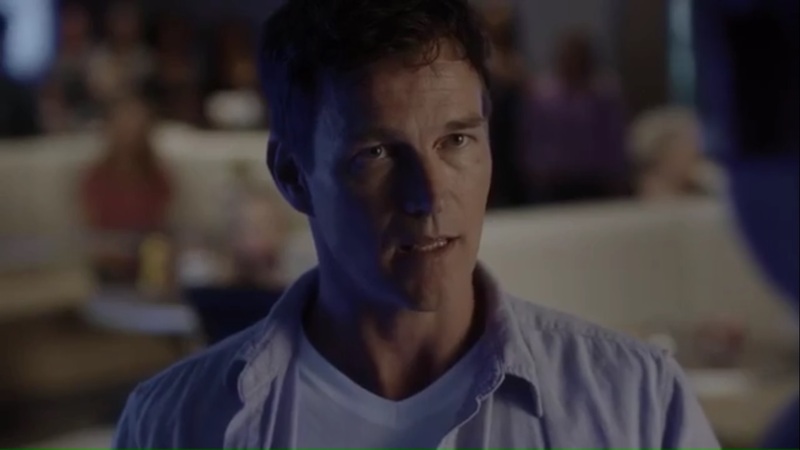 The Gifted’s second episode is a strong follow-up to the pilot that continues the themes of discrimination and prejudice against mutants, but again, make the stakes feel more intimate and personal since, with the exception of the underground movement, if that, the mutants are, for the most part, on their own. This isn’t a case where there’s a School for Gifted Youngsters where mutants can flock to and be accepted among their own. Hell, in some instances, as we see here, there’s no acceptance even among family. It’s been ingrained in the general public to hate and fear mutants, more so those specifically affected by mutants and thus see no difference between good and bad ones, as in Officer Turner’s case. Having a layer of tragedy does add some depth to characters like him and make them more than just another representation of bigotry for bigotry’s sake. 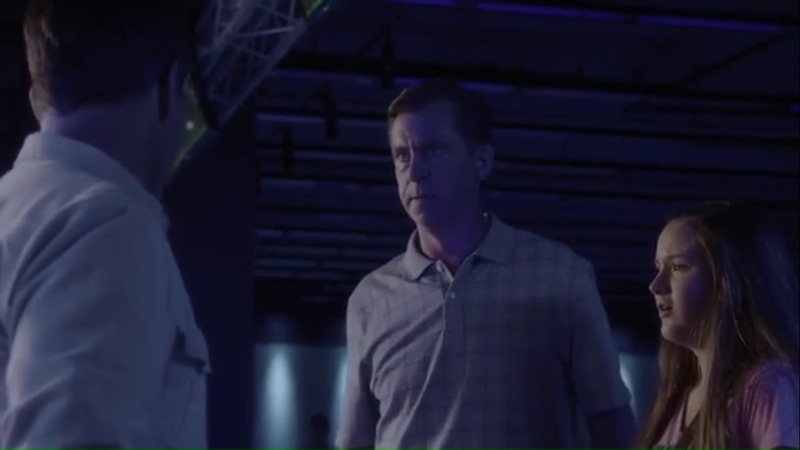 The people at the bowling alley in the opening ridicule and mock what they find different, yes, but Turner has a personal investment because he lost his daughter during a mutant incident. It’s a good way to distinguish between hate for the sake of hate versus hate with motivation. Reed is walking a fine line between sympathy for mutants and making sure he’s just doing his job. At the bowling alley, you see that he does care for the father and daughter’s plight, but his job as a prosecutor comes first and he’d rather avert a crisis. If he came right out and openly sympathized with the father, that’d put a target on his back or at least draw suspicion about his loyalties. But while Reed may not sympathize with all mutantkind- we do see him consider the decision to give up the mutant hideout, after all- he is still willing to do what’s necessary to protect his family, even at his own expense. At the very least, he’s loyal to them, if not them as well as mutants. But that he’s able to negotiate terms in his favor shows that he’s no pushover and not just waiting for things to happen while he’s being held. It’s interesting to watch how Caitlin’s attitude towards mutants shifts by episode’s end. Yes, her medical expertise saves Clarice’s life, but when she and Marcos first hit the road, her focus is making sure Marcos keeps up his end of the deal. But between the hospital visit, the unfounded domestic violence accusation, and learning about Marcos’ family abandoning him, you see her perspective on mutants change. As Marcos points out, she didn’t abandon her children because they were mutants, and when she had no response after he asked if she would’ve done the same for anyone else, we see her go through an arc develop as the episode progresses. She grows more accepting of mutants outside of her family because she’s experienced firsthand the hardships they have to endure. So when she tells Andy and Lauren towards the end that it’s their turn to fight and help save mutants in addition to Reed, it feels earnest and earned based on where she’s ended up since first learning that her children were mutants. All of the Struckers had a chance to step up this week. Andy and Lauren had to fend for themselves without their parents and work alongside mutants they’ve just met, and despite that much pressure, they were vital in both sealing the portals and keeping the officers at bay, giving more time for Marcos and Caitlin to return and save Clarice. Side-note, we get the smallest of insight into Clarice’s life when Thunderbird explains that she was unable to find work of pass for human, but what about those portals? Why did she open them to that specific road? It’s a nice tease that I hope we learn more of later, but just enough to give us a taste of Clarice’s backstory. Similar with teases, in addition to the July 15th incident that Turner mentioned, we have the other incident in Rio. And I feel like an idiot for, after reading around, just now realizing the significance of the main family having the last name Strucker. But if that plays out how I think it might, that would be an interesting twist. 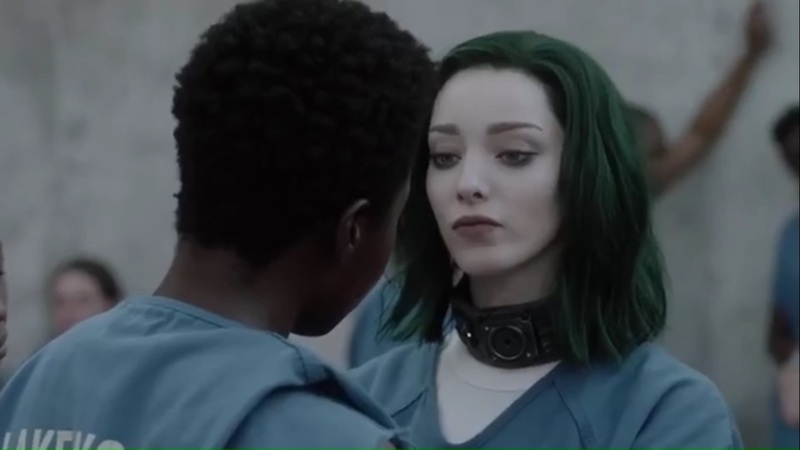 Polaris’ time in Lakewood Jail was a great, tension-filled sequence that not only gave us her green hair we’re accustomed to from the comics, but also how she can no longer hide it. And unlike the mutants at the hideout, she is completely on her own, not even getting help from the Porcelain mutant. It was rough to watch her abused and beaten, but the idea of humans and mutants being imprisoned together opens the door for confrontations and scuffles. And with mutants having collars that mark them apart from everyone else, it feels like a precursor to the Days of Future Past timeline where mutants and their human allies are enslaved and hunted by Sentinels. At the same time, despite being in jail, it’s good that she’s fighting back instead of just becoming a servant to the humans. 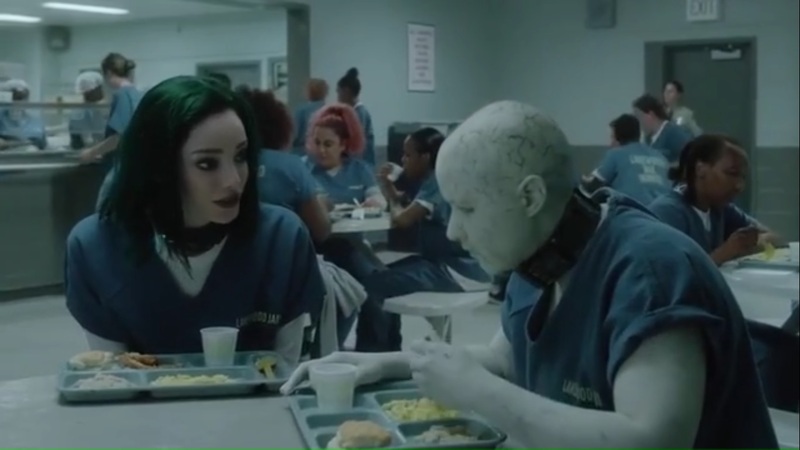 Hell, at this point, maybe Lorna should take a page from Magneto’s playbook and start a Sisterhood of Mutants in order to take over the jail. It’s worth a shot. 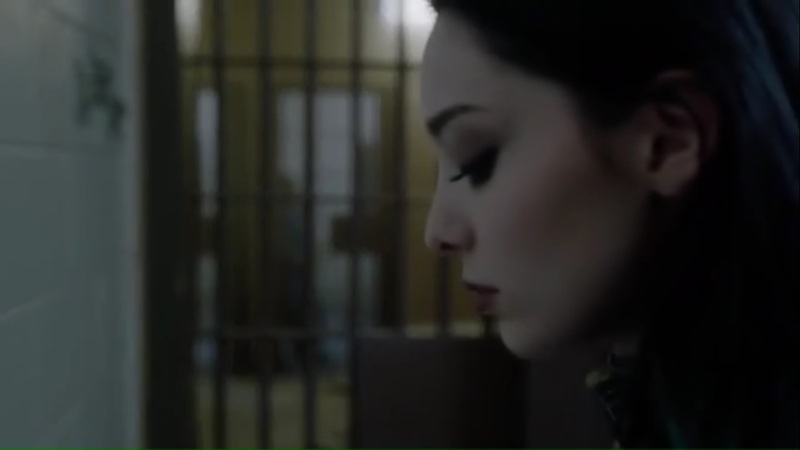 And Emma Dumont impresses in just about every scene. She’s a good pick for Polaris, no doubt. 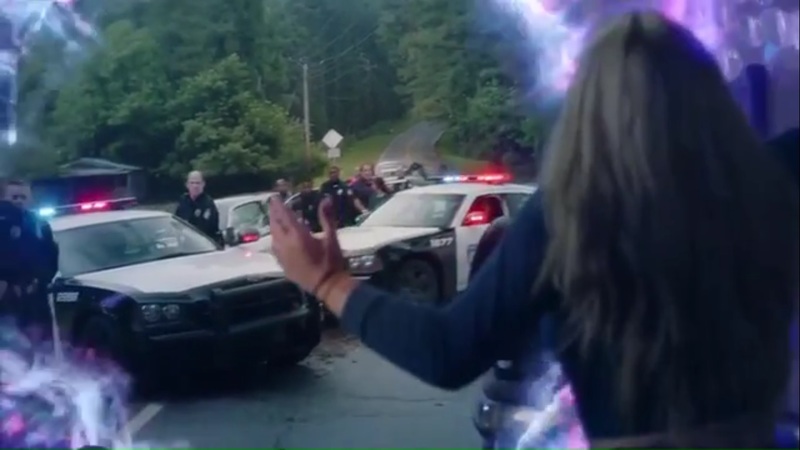 The Gifted’s second installment continued the strong start set by the pilot by giving more of the difficulties that mutants face in their daily lives. It grew Marcos and Caitlin’s partnership while also allowing Caitlin to use her medical knowledge to save Clarice’s life, as well as learn through Marcos the challenges that mutants encounter, even from their families. 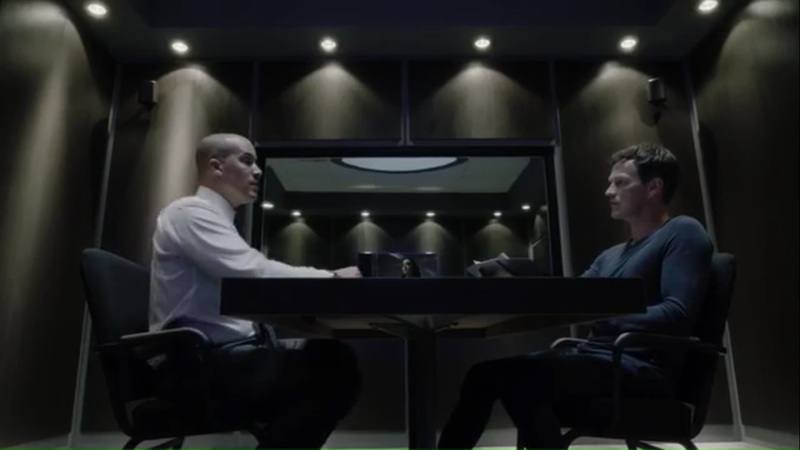 But with Reed set to make a deal with Turner in exchange for his family’s safety, coupled with Dr. Campbell looking into the Rio incident, things aren’t about to calm down for the Strucker family and company anytime soon. This entry was posted in The Gifted and tagged Amy Acker, Andy Strucker, Anissa Matlock, Anthony Nguyen, Blink, Caitlin Strucker, Clarice Ferguson, Clarice Fong, Coby Bell, Dinarte Freitas, Dreamer, Eclipse, Elena Satine, Ellen Strucker, Emma Dumont, FOX, Gargoyle, Garret Dillahunt, Hayley Lovitt, Jace Turner, Jamie Chung, Joshua, Lauren Strucker, Len Wiseman, Lorna Dane, Marcos Diaz, Matt Nix, Natalie Alyn Lind, Percy Hynes White, Polaris, Reed Strucker, Roderick Campbell, Sage, Sean Teale, Sharon Gless, Stephen Moyer, Thunderbird, X-Men by omarid513. Bookmark the permalink.